Fishing in January, what more can I say. While many across the country are drilling holes through hard water, the crew at Headhunters are chasing trout with a spey rod. In a month synonymous with the bitter cold, we have been enjoying some pretty favorable weather. Well, at least the temps have been pretty nice. Needless to say, the warm January air brings some pretty gnarly wind. 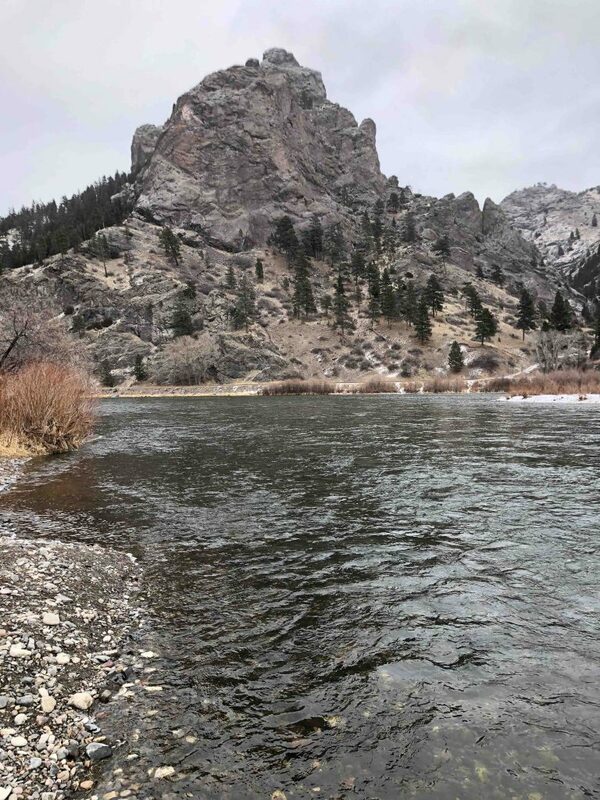 Fishing has been good the past few days with the water temps hovering right around 34 degrees, and the discharge bouncing around between 4,420 and 4,600 cfs. With colder water the fish are holding in super slow, deep water, and that’s where your streamer needs to be swinging. I’ve been getting fish using the Redington Hydrogen 11’3” 3wt and a 275gr Rio InTouch Skagit Trout Spey shooting head. For running line, I prefer using some kind of mono. Lately I’ve been using OPST’s 35lb Lazar Line which shoots like something out of a sci-fi movie. As far as tips are concerned, leave the shallow stuff at home. Start your day with Rio’s InTouch Light iMOW 2.5’int/7.5’T-8. You can even start to flirt with a 10’ section of T-8. If you think your tip is too much for the run, leave. There is no fish there. Go find a run that requires such an aggressive tip. Lots of fish in those deeper runs. In the cold dark months of winter, I like to brighten up the water with a ton of flash. Be it a simple Kreelex Minnow or the very effective Montana Intruder. Bottom line, fill your stash with some flash. Unless it’s super bright out. Then go with more natural tones. Olives and blacks. Get leechy. When all else fails, the tried and true Wooly Bugger can save the day. Don’t be discouraged by cold temps or high winds. All those fish you love catching in the summer are still here. They are still hungry. Grab a spey rod and a hand full of streamers and get out there. Thanks Richard for the up to the moment Spey Report! Lots happening at Headhunters in the winter months. Many fly shops take the long winter nap. Not here in downtown Craig. Nope. We are busy with Trout Spey. Sold a couple rods this weekend already. We are fully stocked with the best spey rods in the business. Entry level rods too. You can get into a rod for $349. The top of the heap Sage ONE, Loomis IMX Pro Short Spey 11’11”, Echo TR2, Anderson Custom Rods Nova and Nova 2 (recent shop favorite! 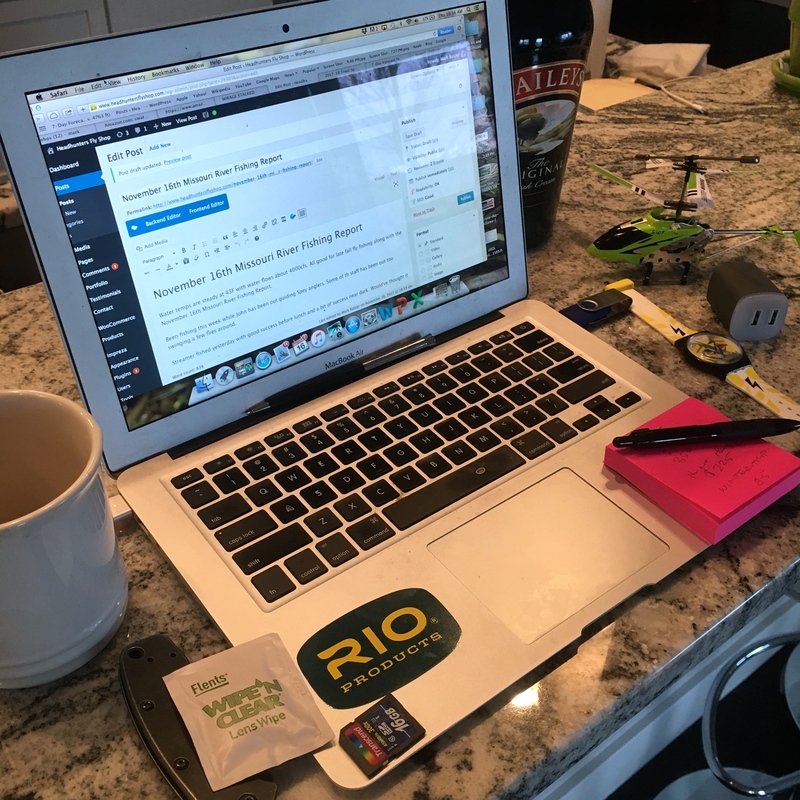 ), Redington Hydrogen, and more! Call today to speak with any one of our spey handlers! Lines too at Headhunters of Craig. The hot item in fly lines include the integrated running lines that all three big manufacturers are offering. RIO Trout Spey and Skagit Trout Spey lines in stock. Scientific Anglers Skagit and Scandi. OPST Smooth with integrated running lines as well in stock. Airflo Skagit Scout is a great choice too! All the (non-integragted) heads as well if you are not ready to go the integrated route. 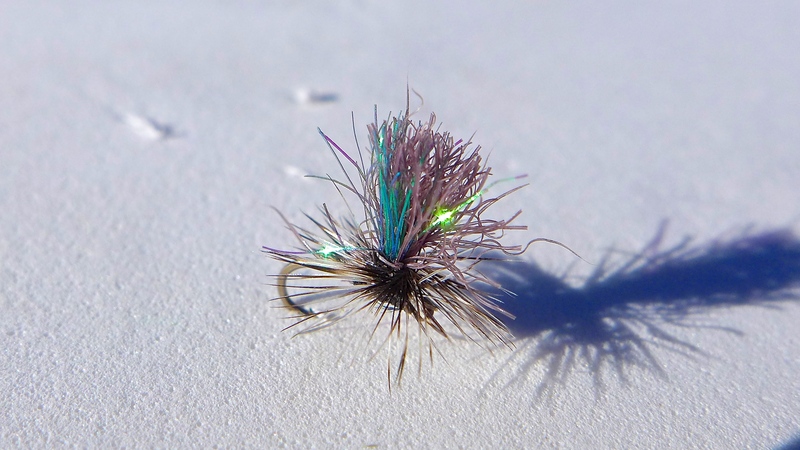 Hundreds of spey lines ready for sale! Tips Galore. All the tips in stock from OPST, SZ, and RIO. Leaders too. A wall full of choices allowing you to target the right kind of water. Flies? We got flies. Bins full of spey and soft hackle flies. Come by or call us up for any info or questions you may have in regards to the greatest Trout Spey Selection in Montana and beyond! Enjoy the weekend and football today. Book your summer 2019 trip. Think about what you will be buying from us in the Trout Spey arena. Book your lodging for ’19. Maybe we will get some snow out of the storm on Wednesday and Thursday. We need a bit of white to cleanse Craig? I need to go fishing with Richard sometime. Or maybe just spy on him.